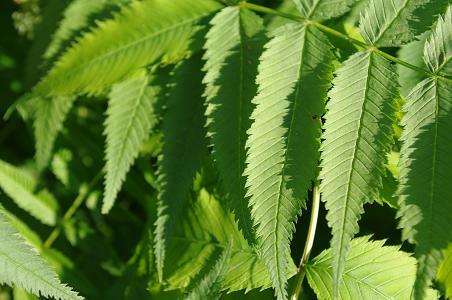 compound leaves. The leaves are double-toothed. Photos taken July 7, 2008 at 504 Queen Elizabeth Drive. The flowers look like spirea. are slender and can be fuzzy. 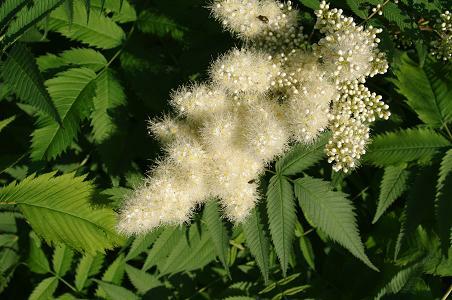 False spirea is common in the Glebe, especially on QE Drive. 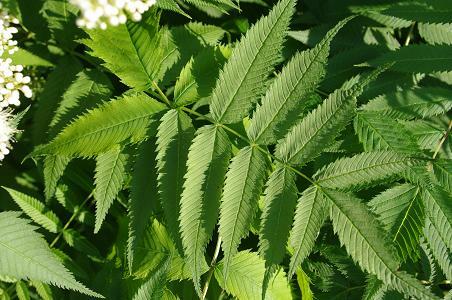 False spirea also resembles mountain ash and is a type of mountain ash..
Honey locust can be toothed or not, and has smaller leaflets.